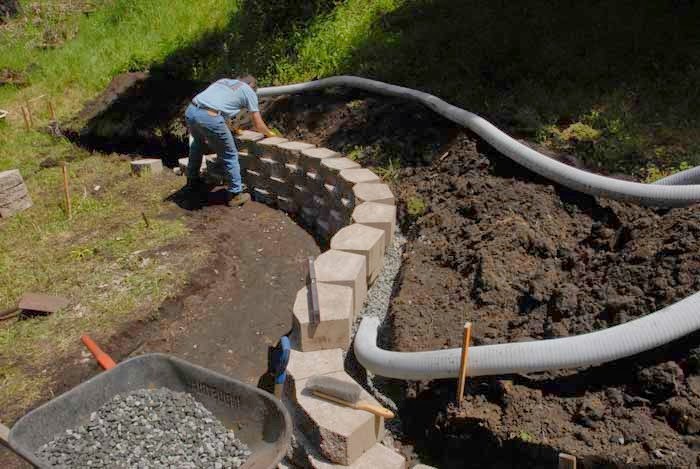 We can re-grade yard, bury downspout pipes away from house, installs drains, permeable pavers, and small retaining walls etc. to solve your problems. Nice layout design not to big. 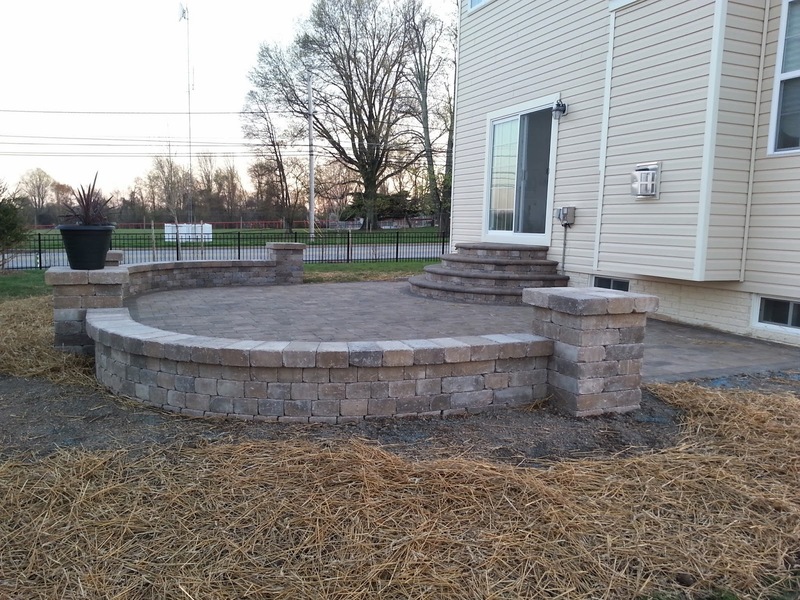 Ammons Wall sitting walls/columns/steps with Appian style pavers. 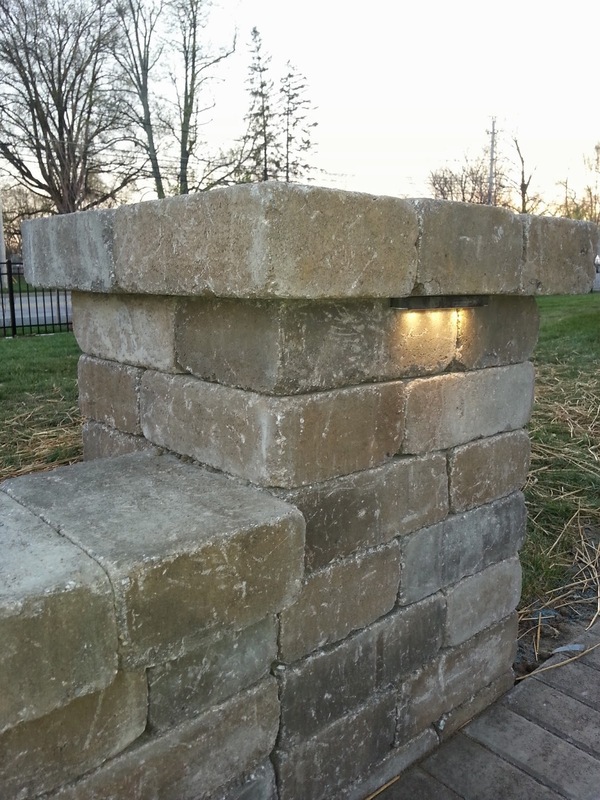 LED low voltage lighting built in. Before After pictures. 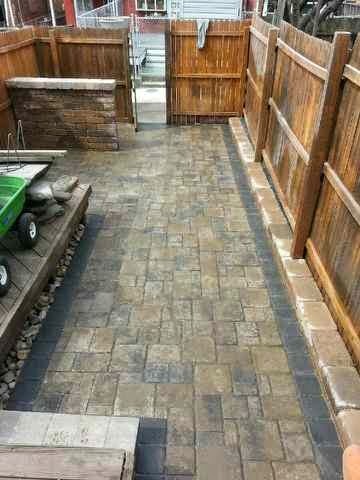 Random style Appian pavers with a freestanding Ammons Wall to hide trash cans. 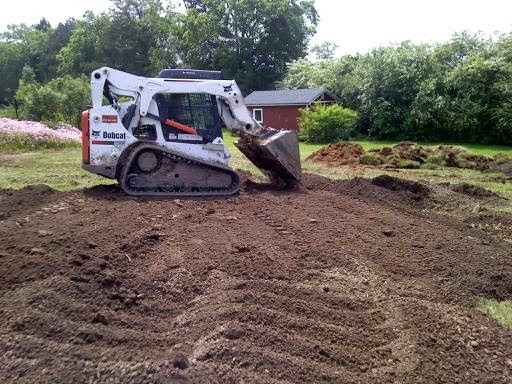 This Baltimore City job took two days. 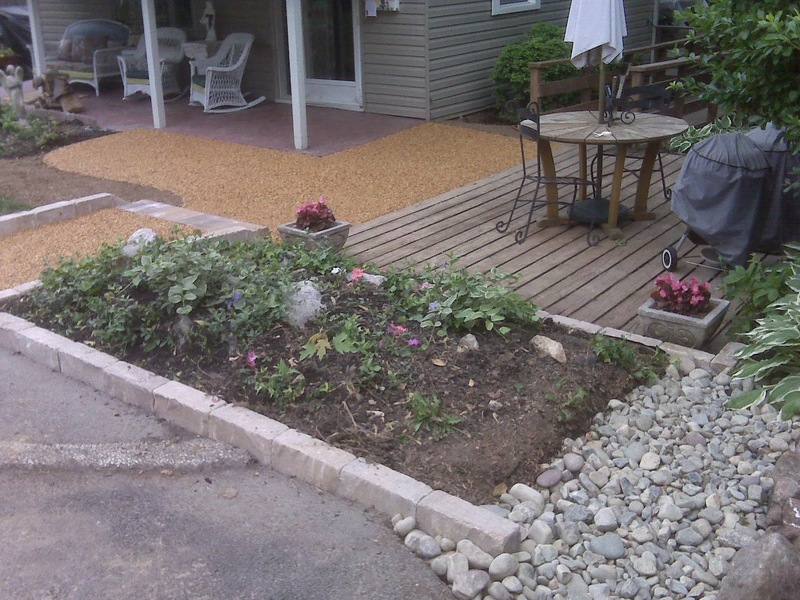 Help save our fish and wildlife with a Permeable Paver Driveway. 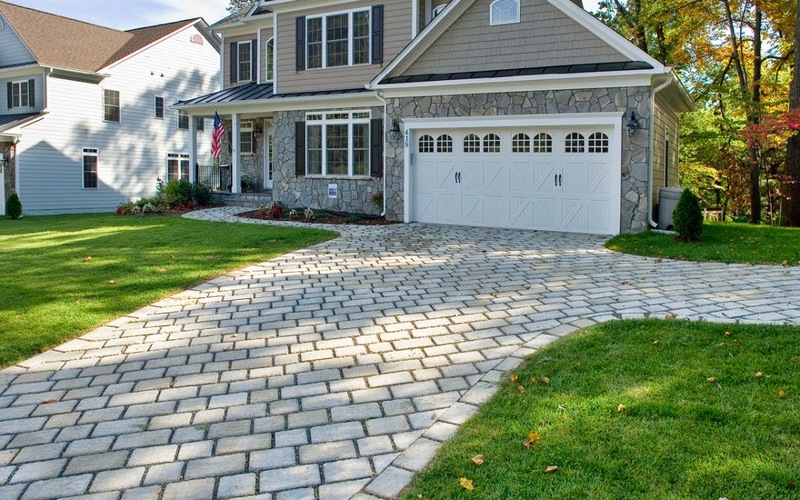 This permeable driveway is the Permea Permeable Paver made by Techo Bloc. The color shown here is the shale grey color. 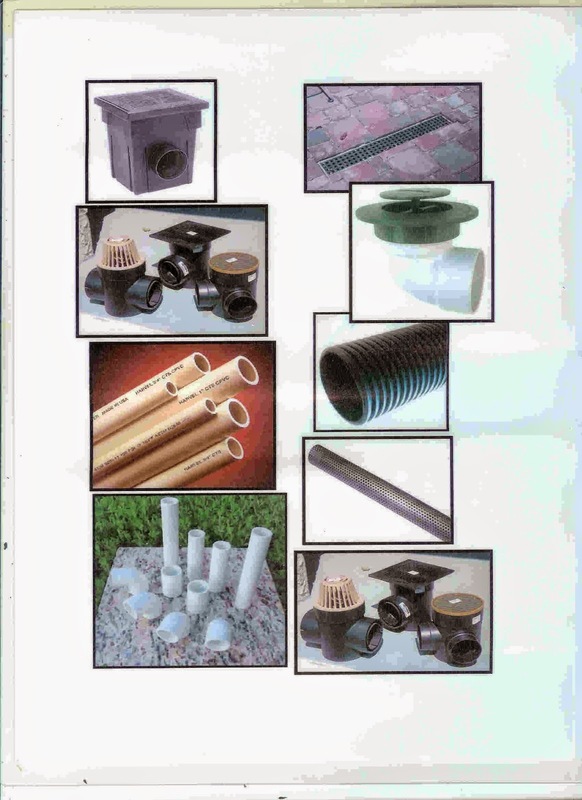 Available in different colors for your needs. 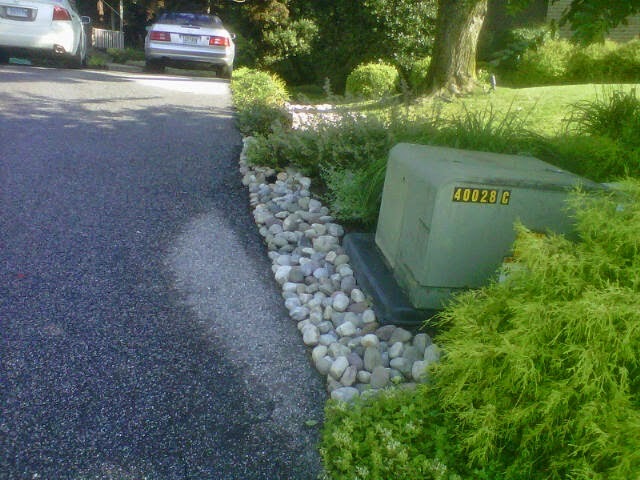 The permeable pavement soaks in water to reduce dirty storm water runoff that ends up in our local water ways. 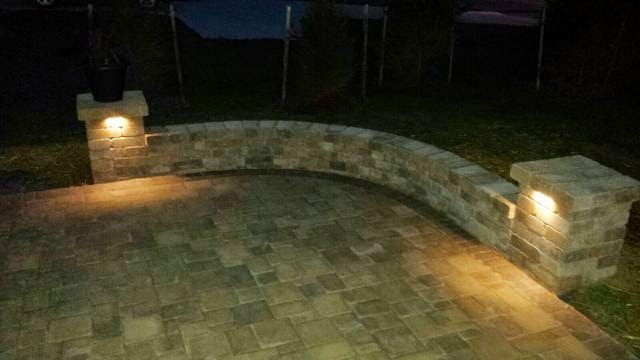 Large sized stone gravel is great for erosion problems off your driveway and they look great. 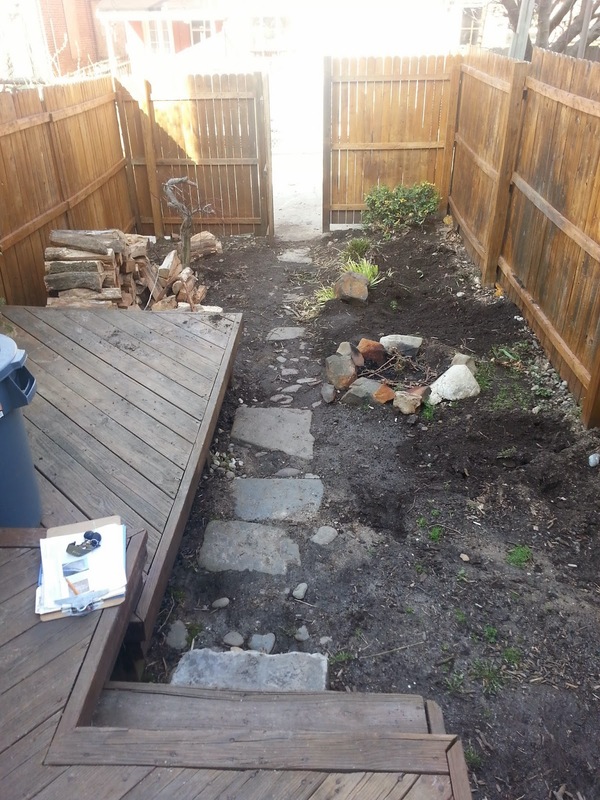 Both of these jobs we used Riverjack decorative gravel.